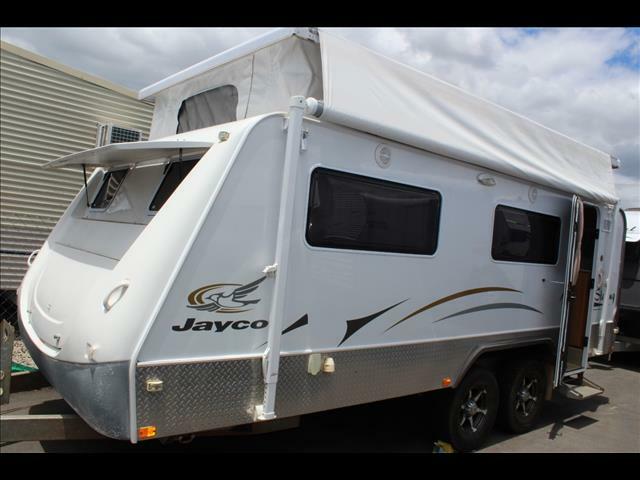 This Jayco Sterling offers the best of both worlds, it combines the convenience of a full size van but with a low weight and roof line for great fuel economy thanks to its pop top. 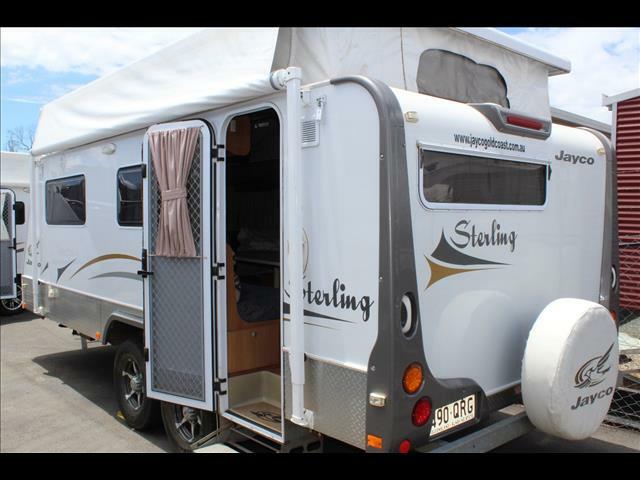 It has an ATM of under 2500Kg so it is able to be towed with most passenger cars or 4WDs. 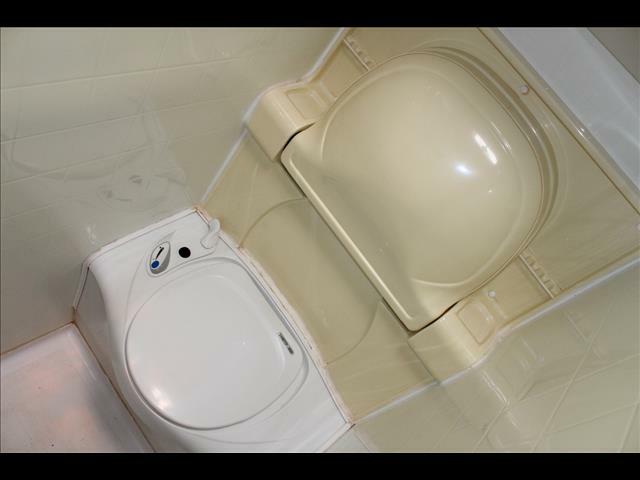 It only takes seconds to raise the roof and then you are ready to enjoy your time away. 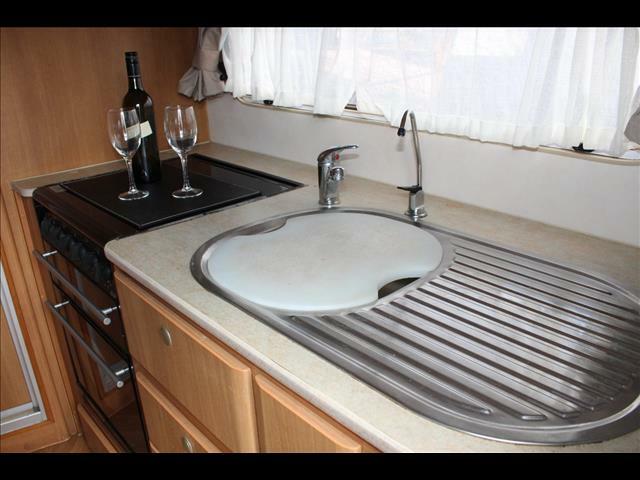 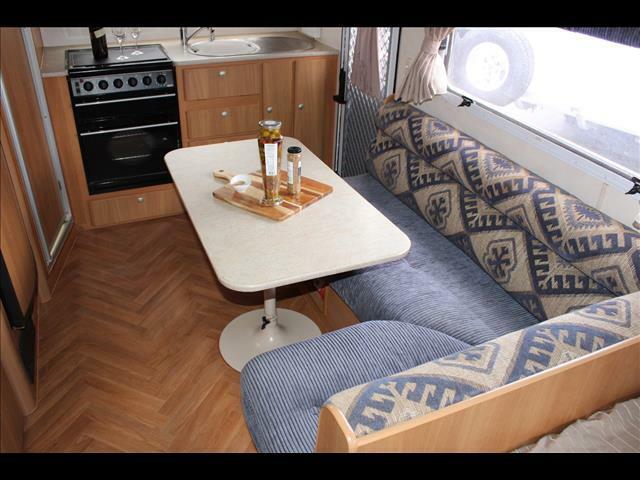 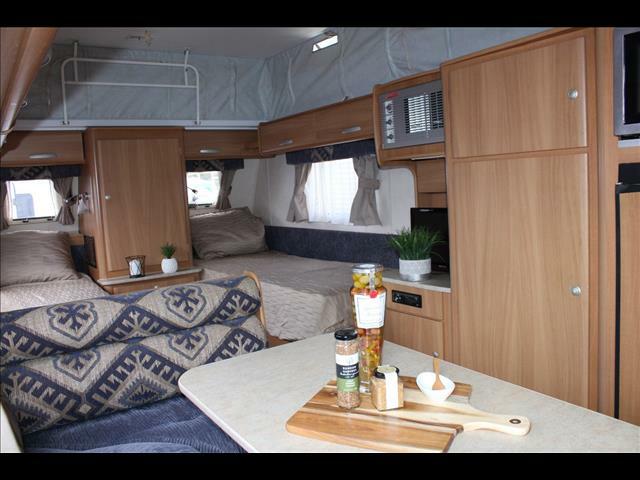 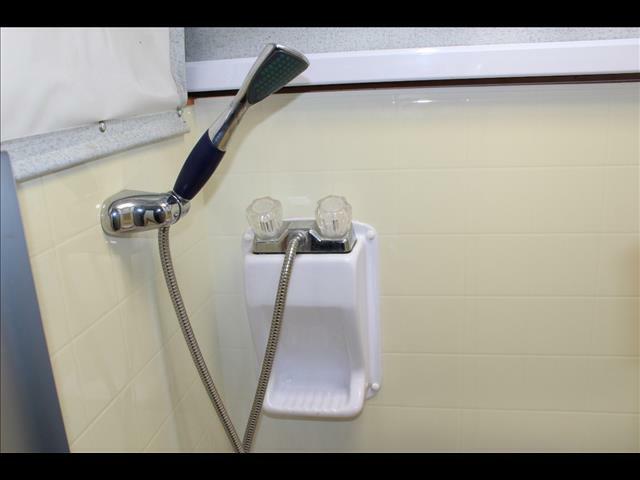 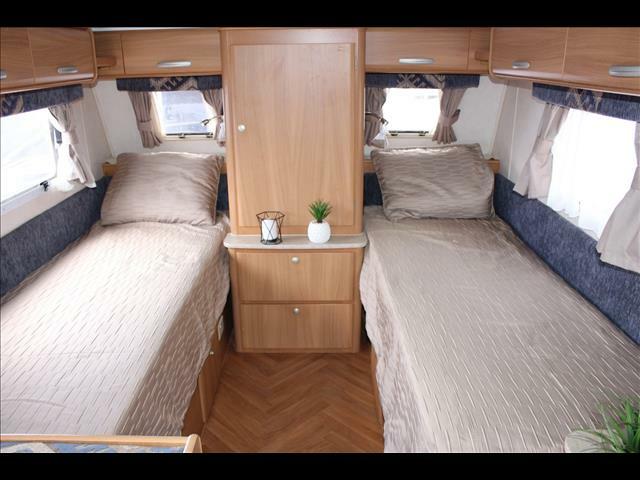 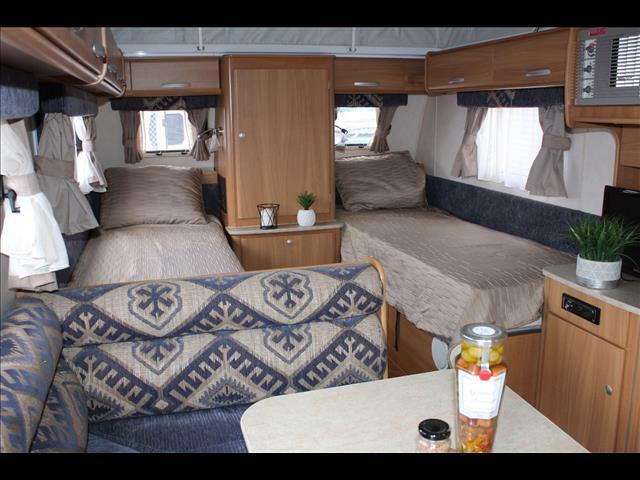 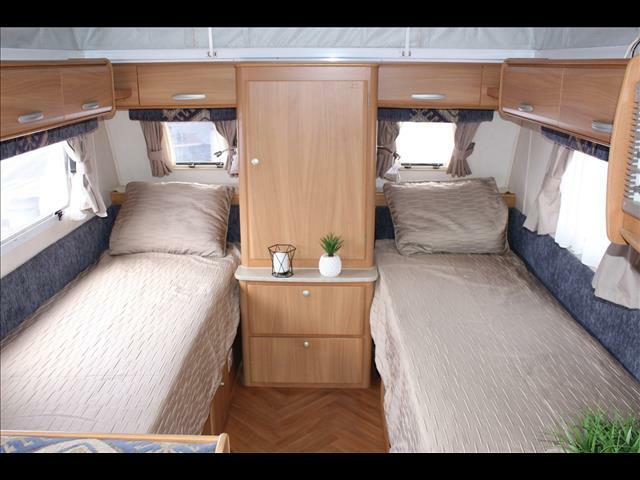 This is a hard layout to find, it has a shower toilet combo, L shaped seating and 2 x single beds. 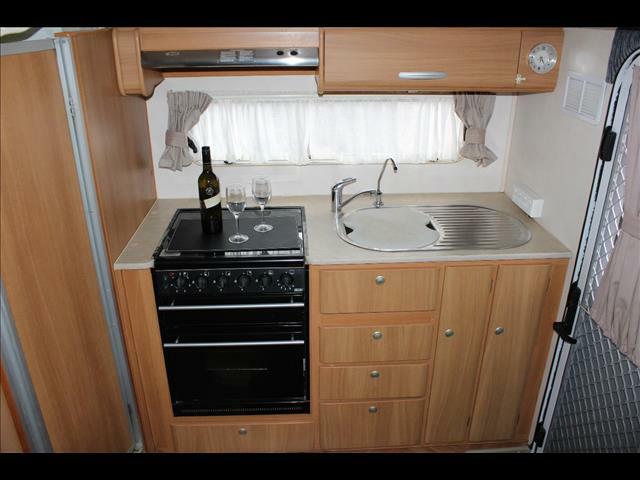 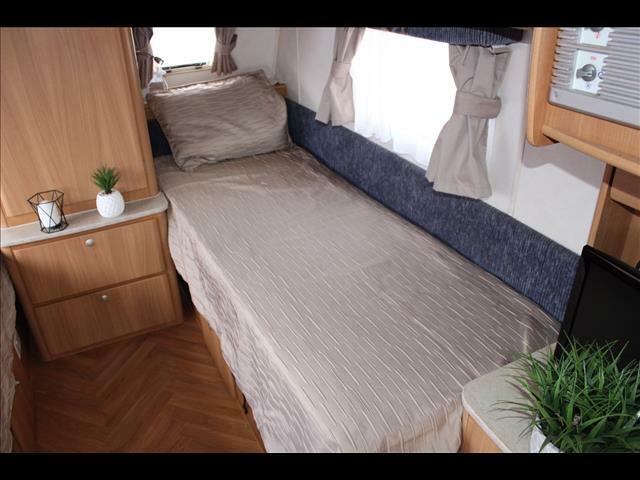 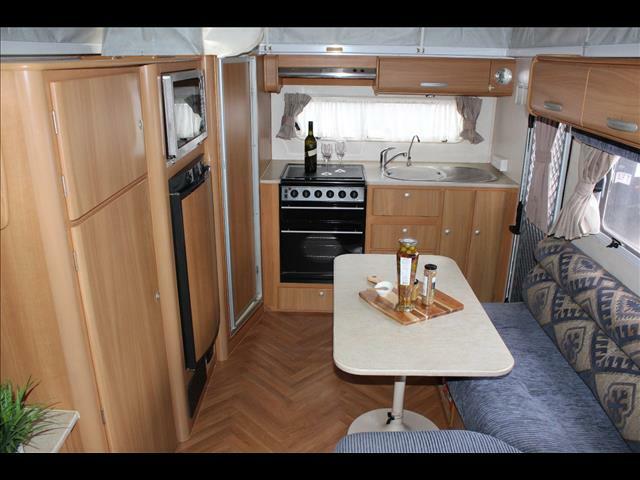 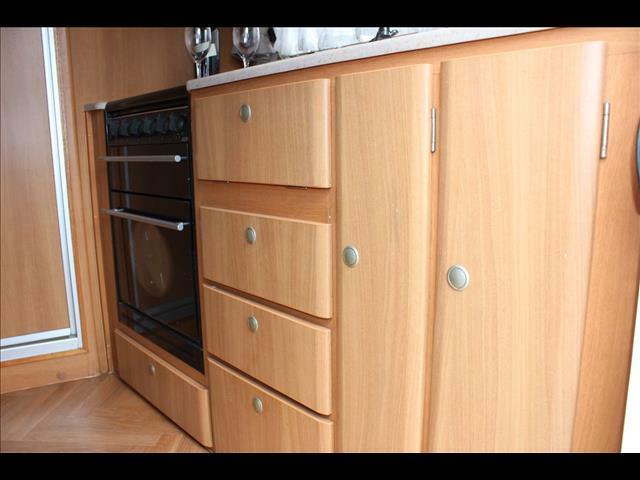 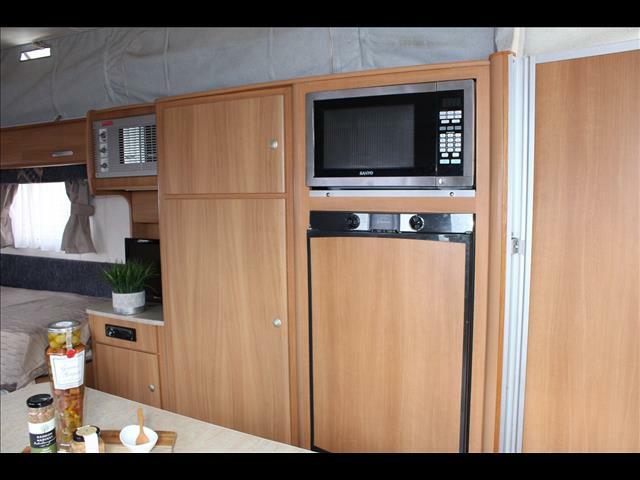 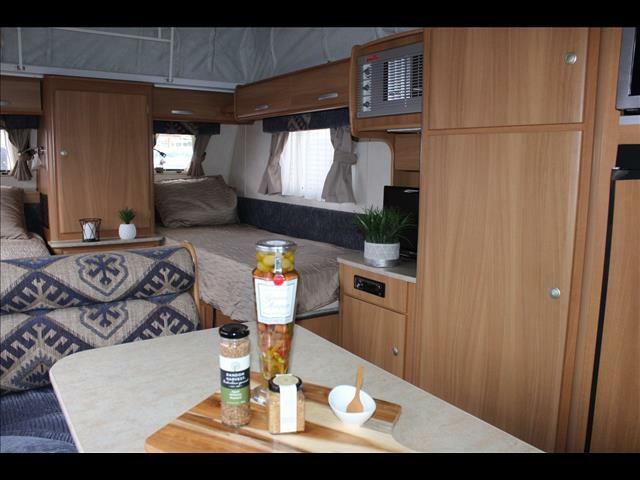 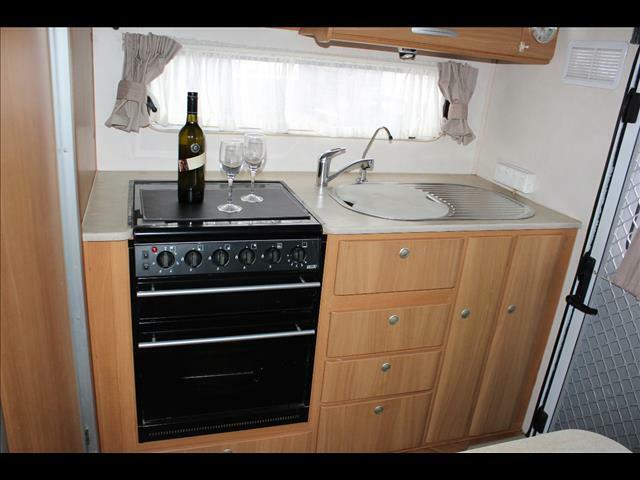 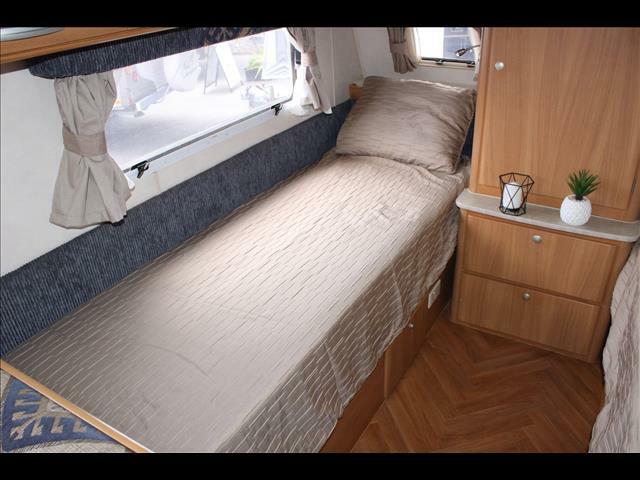 Single beds give a great nights sleep and provide extra storage space in the van where a queen RV doesn&apos;t.
Inside this Jayco Sterling is an oven, cooktop, grill, microwave, fridge, stainless sink and drainer. 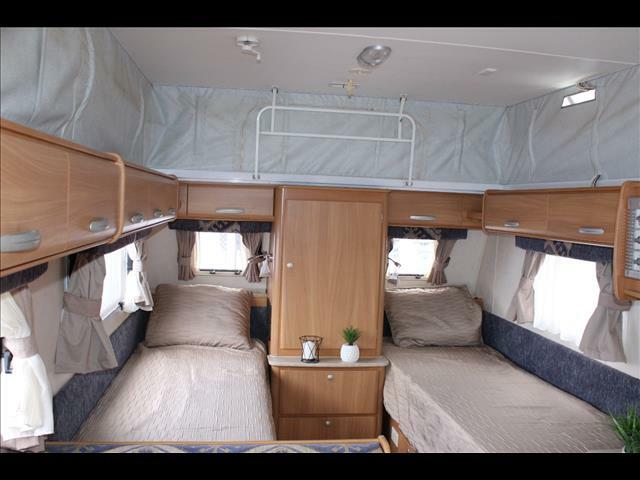 There is a TV, radio and aerial. 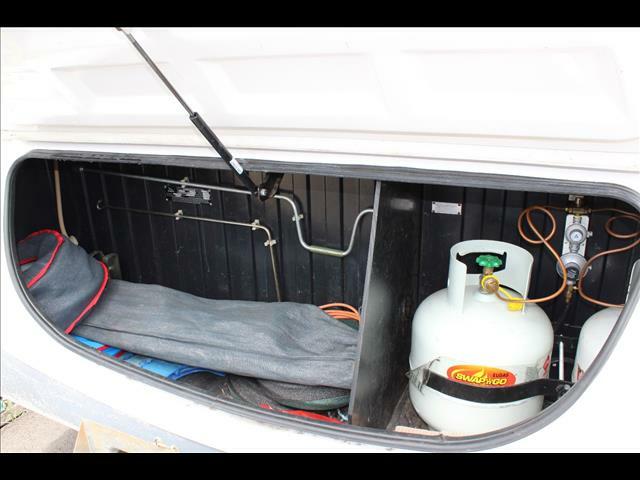 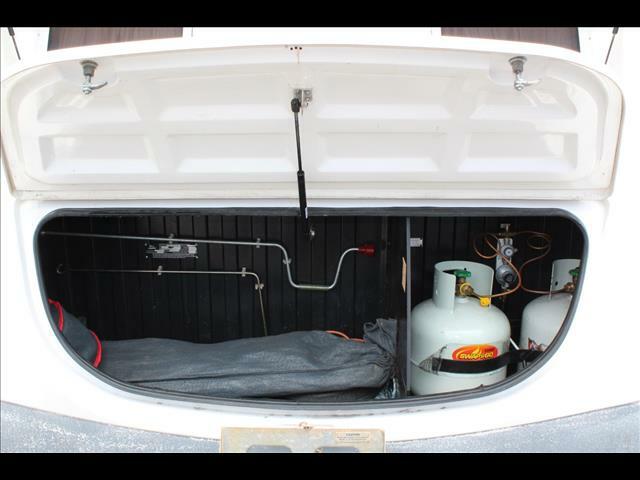 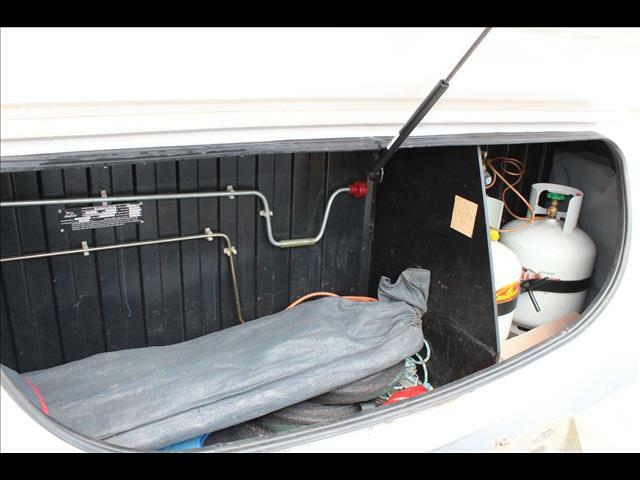 Outside the van there is front and back windows, front boot that houses 2 x LPG bottles, hoses and aluminium anti flaps bars for the awning. 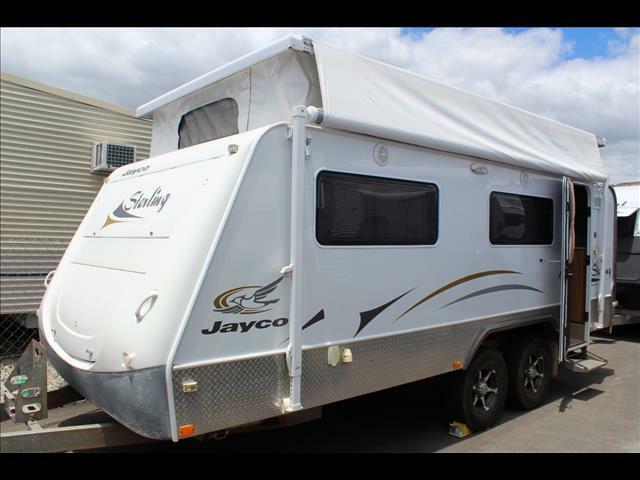 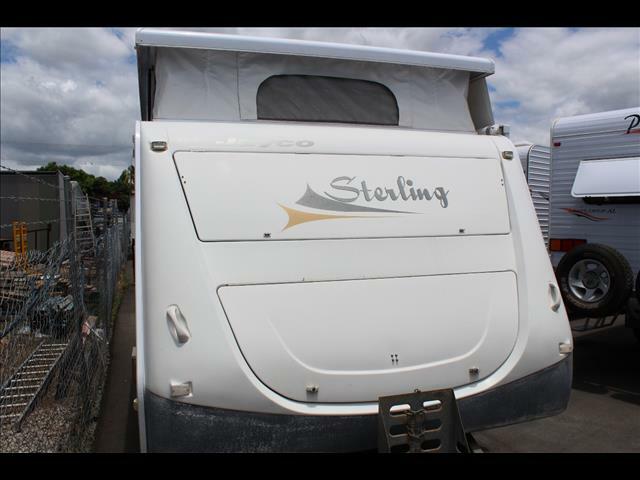 This Jayco Sterling has 2 x solar panels and water tank so you can be self sufficient and escape the crowds.